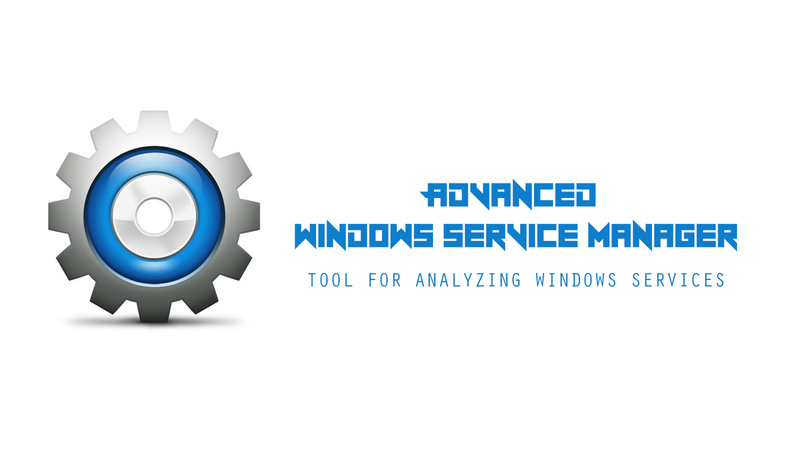 Advanced Windows Service Manager is a software for analyzing Windows Services. It offers unique features like Detection of Malicious/Rootkit Services, Automatic Threat Analysis, Service Filter mechanism, Integrated Online Virus/Malware Scan, Color based Threat Representation, and HTML/XML based Service Report. 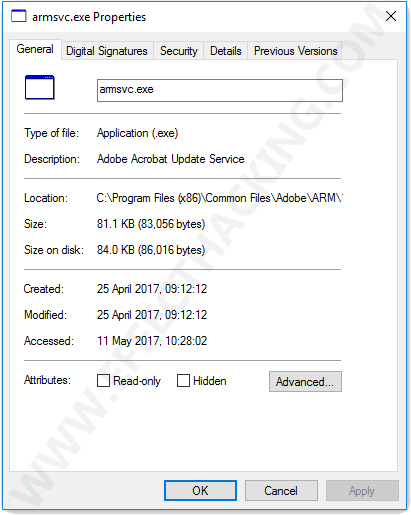 It uses heuristic analysis along with other anti-rootkit techniques such as Bypass Hook method to detect malicious services. 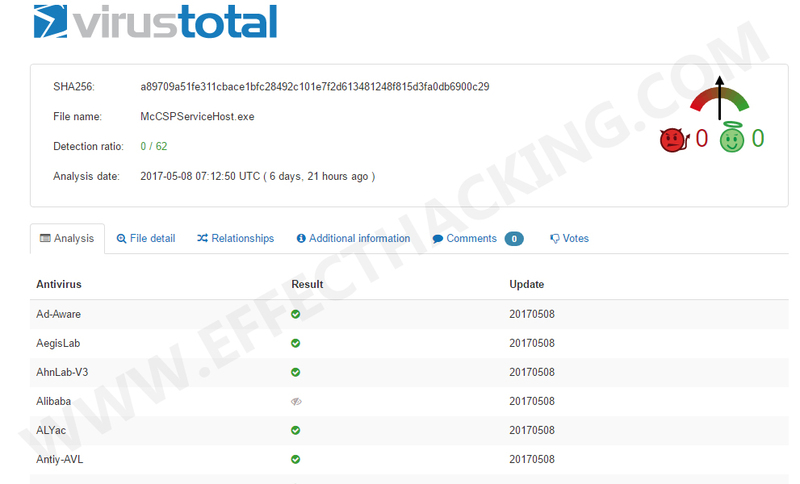 And, the integrated "Scan Online" functionality allows you to verify the malicious nature of services by using VirusTotal, ProcessLibrary, and Google. It works on almost all Windows systems (XP to 10). 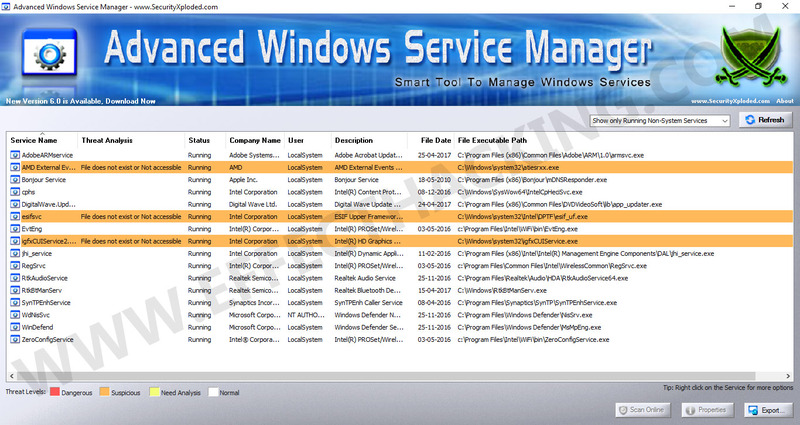 First, download and install Advanced Windows Service Manager onto your computer (download links are at the end of this article). Then run the program with administrative privileges (run as administrator). You will see a window as shown below. If you want to see the services in a sorted manner, go to the right side of the window and then select your option from the drop-down menu and then click on the "Refresh" button. For example, if you want to see all the running non-system services, just go to the right side of the window and select "Show only running non-system services" from the drop-down menu and then click on the "Refresh" button. If you want to export the displayed service list to your disk, click on the "Export..." button and then save the file with a cool name (because why not?). You can also do several other things if you right-click on a service -- you can stop and disable services, search services on VirusTotal, Google, and ProcessLibraray, view file properties, and access file locations.